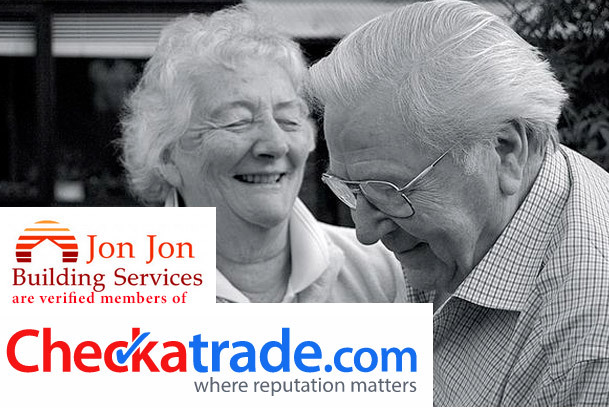 Jon Jon Building Services deliver a high quality service with a personal commitment to meet our clients' expectations. No job is too Big or too Small. Our building services are tailored to meet customers' needs, working closely with you to ensure you get the best quality work; no matter how big or small, within your budget and completed to a high standard, on time. 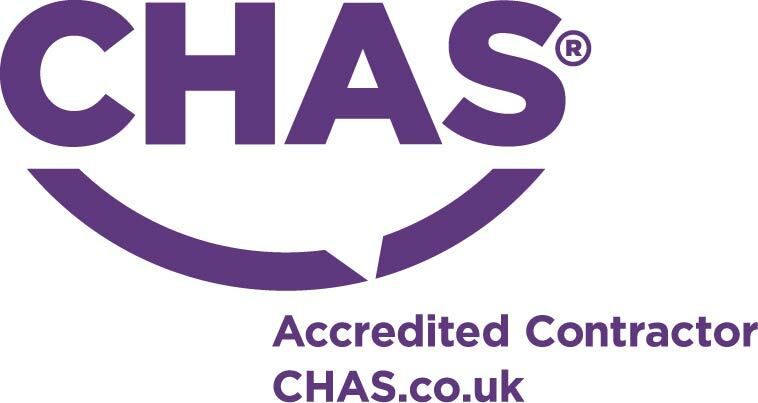 Our staff are fully qualified and insured, and offer years of experience in their respective trades. We provide builders with experience in building repairs and improvements to larger jobs such as loft conversions. We have the ability to take on any size of domestic or commercial building project and have the experience to work within any financial budget. Glazing - Double / Single "Johnathan contacted me within minutes of my request he turned up on time was very polite. He completed the job the following day as he said he would. He is very professional person very polite and a very clean workman. No job to big or to small. I would recommend jon jon builders to anyone. Keep up the good work jonjon you restored my faith in workmen. Thank you for doing a great job"
Wooden Doors - Internal "Polite, courteous, quick service! Would definitely use again! Thanks Jonathan :)"
Guttering and Rainwater Pipe "Very friendly, punctual, proactive and thorough. Would strongly recommend." Staircases - Wooden "Jonathan and his team were excellent. 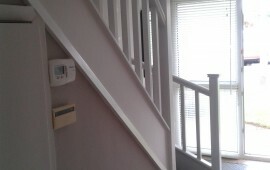 We asked for a loft ladder to be fitted and he came and quote within a couple of days. His price was excellent and he explained what would be done. One the day his team arrived and work solidly for 7 hours to get the work done. A visit the following day to finish up and the work was done. Jonathan and his team cleaned up everything including offering to clean the carpet. All were very friendly and organised. We would recommend Jonathan to anyone." Wooden Doors - Internal "Extremely impressed with how quickly they managed to fit me in & their dedication to fitting around my timelines"
Wooden Doors - Internal "Arrived on time, initial door supplied wrong size - swapped and finished on same day. cleaned up well, very happy"
Wooden Doors - Internal "The guy was well presented carried out a good job at a good price and turned up when he said he would overall very pleased"
Plumbing Repair & Maintenance "Swift turn out, was polite and even charged less than original quote when did the job quickly." Wooden Doors - External "I would strongly recommend Jon Jon Building. Clean efficient reasonably priced. Whole job completed with 24 hours of posting it! I am really impressed with the service." Glazing - Double / Single "I CAN'T THANK JONATHAN AND HIS COLLEAGUE ENOUGH FOR THE WONDERFUL JOB THAT THEY CARRIED OUT AT MY PROPERTY, AND FOR SUCH A REASONABLE PRICE. I WAS CONTACTED WITHIN MINUTES OF POSTING MY REQUEST AND THEY CALLED ROUND THAT EVENING TO SEE WHAT WAS REQUIRED. THEY WERE BOTH POLITE AND PROFESSIONAL AND I WOULD RECOMMEND THIS COMPANY TO ANYONE WHO WANTS QUALITY WORK CARRIED OUT FOR A GOOD PRICE." Staircases - Wooden "I can honestly say that there is NOTHING I can say that describes how pleased we were that we gave Johnathan and his crew the job to do. A real Craftsman plying his trade to a high standard, very rare these days." Glazing - Double / Single "jon jon builders, were very reliable and able to work around the times i was available, did a very good job, very pleasant, tidy and kept me well informed. would definitely use them again." 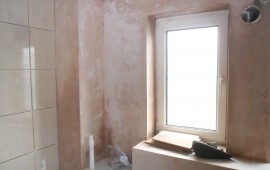 Wall Tiling "jon jon was extremely reliable and efficient . I would definately recommend him and use him again ." Garage / Outbuilding Construction "Very prompt, courteous and did a great job. Thanks"
Fencing & Gates - Wooden "Jonathan and his colleague arrived on time to view and give a quote for the job asked for, they viewed the job and said they could do the job straight away. Agreed a price and the job was done without much bother. They were polite, cheerful and did a good job." 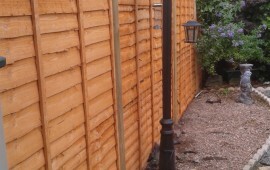 Fencing & Gates - Wooden "We were very happy, completed very promptly, looks great and everything cleared up afterwards. Would use them again." 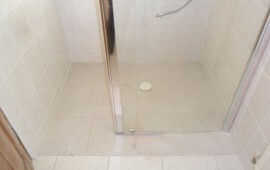 Bathroom, Kitchen and WC Plumbing "Johnathan and his employee were polite, punctual and extremely helpful. Did a VERY good job of replacing a sink unit and 2 worktops including fitting pipework etc, cleaned up every bit of mess and the price quoted was the price he asked for. Could not fault them and would highly recommend jon jon building services :-)"
Plumbing Repair & Maintenance "Quick and efficient service"
Bathroom, Kitchen and WC Plumbing "Prompt,courteous and practical." Fencing & Gates - Wooden "Jonathan and his colleague were professional and worked extremely hard only taking one short lunch break. They finished the work and cleared up all within one day. I wouldn't hesitate in recommending to anyone else." uPVC Windows & Door "Jonathan and his assistant were, excellent. The work was completed to a very high standard and have no hesitation in recommending jon jon building services most highly." Laminate Flooring "Jon Jon Building Services came to quote us on some laminate flooring that we wanted to put in the room where we will be giving birth to our imminent child- we weren't sure when it was coming so wanted it done quickly! 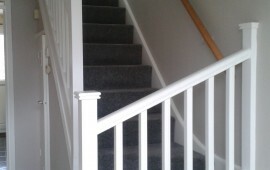 They picked up on the urgency, quoted us, came back with supplies and had fitted the entire floor by that evening! We have since used them to plaster our bedroom and renovate our bathroom. 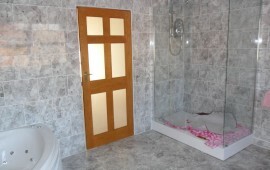 They are courteous, friendly, neat and their work is to a very high standard. They are a precious find." Radiator "great guy would recommend." Fencing & Gates - Wooden "INCREDIBLE- Just a lovely team to work with. 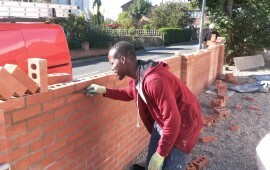 Courteous and hard working as well as fair prices and brilliant work- cant fault them- will be using Jon Jon for any job we have in the future. An ABSOLUTE PLEASURE." Wall Tiling Very friendly and professional service by Jonathan, good job done, I recommend him for any small and big jobs. 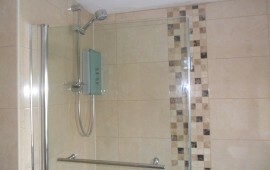 Bathroom, Kitchen and WC Plumbing "He came on time, he was honest and up front with the cost of the work. I no hesitation with asking him to do any further work I may need doing in the future." Plumbing Repair & Maintenance "Friendly and did a very good job at a very reasonable price." 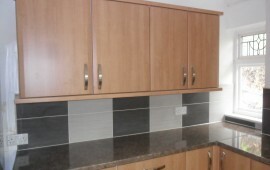 Kitchen Installation "Jonathon turned up on time, very polite and clean worker. it was only a small job I had for him but he was happy to do it and did an excellent job and knew what he was doing. I am happy to recommend him." Wooden Doors - External "Jonathan is very helpful, his work is to an excellent standard and his charges are fair and reasonable. We can recommend him completely. Excellent!" Wooden Doors - Internal "Very fast response. came out same day to give quote, completed the little jobs same day. professional and polite, would use company again." Fencing & Gates - Wooden "Excellent service from start to finish came out quickly, was very nice, very polite came back to us speedily with a quotation once accepted the work was carried out professionally and to a high standard. They cleaned up after themselves after working tirelessly for 8 hours with only a short break to eat some lunch. I would certainly use them again and would recommend their services to others. Thank you." Registered office address: Suite 3, 24 High Street, Ruddington, Nottingham, NG11 6EA.